Dane County Area Genealogical Society - FGS 2015 - Two Conferences, One Location! FGS 2015 - Two Conferences, One Location! 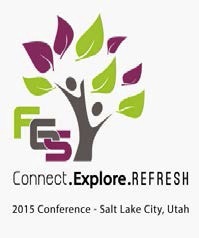 The Federation of Genealogical Societies (FGS) and RootsTech are teaming up for a one-time special genealogy event at the Salt Palace Convention Center in Salt Lake City, February 11–14, 2015. FGS and RootsTech will share the expo hall, general sessions, activities, and more while each conference offers their own program of sessions. FGS sessions will focus on methodology, records, ethnic research, and migration for honing your research skills and society issues to motivate and inspire society volunteers. RootsTech will offer a program of technology-based solutions for the genealogy needs of both individuals and societies.